While you may need to relax from time to time, acne never takes a vacation. That's why it's so important to have a plan of action for maintaining good skin health when you travel. While treating your breakouts on the go may take a little more effort than your normal skincare routine, it's well worth the extra work. Keep in mind that these travel tips are not going to treat your acne. Unless you're doing something about the primary causes of your breakouts, this advice won't be very helpful. However, when used in conjunction with products that address the underlying causes, these five tips will help ensure that travelling doesn't take a major toll on your skin. Vacation is supposed to be a time for enjoying yourself, not worrying about your breakouts. Follow our advice and spend your time worry-free-bon-voyage! While the weather isn't a primary cause of acne, it can certainly make things worse if you're not prepared for it. For example, if you live in a tropical, humid area and are travelling to a place that's much drier, you'll probably find that your skin is accordingly drier than it normally is as well. By doing a little research on the local climate (Is it hot or cold? Dry or humid? ), you can prepare for any changes that might make your skin more finicky than usual. Dry climate: If you're heading somewhere dry, a good moisturizer is a must-even for people with normally oily skin. The extra dryness can cause your sebaceous glands to work overtime at producing skin oil, which can lead to more clogged pores and extra acne breakouts. Humid climate: If you're headed somewhere humid, chances are you'll be sweating more than normal, which can lead to clogged pores as well. Be sure to gently cleanse your skin at least twice a day, and switch to noncomedogenic beauty products if you haven't already-they're designed specifically to not clog your pores like their regular counterparts. If you'll be travelling to your destination by plane, it's important to be familiar with the laws regarding carry-on bags. It would be devastating to develop a carefully-planned skincare regimen only to find out at security that you won't be able to take it on the plane with you. The TSA requires that all liquids and creams must be 3.4 ounces or less and must be stored in a clear, quart-sized Ziploc bag. For some, these regulations won't be a problem, but if you're worried about getting through security, store your skincare items in your checked bags, just to be safe. It's better to be separated from them for a short time, as opposed to the entirety of your trip. Don't underestimate the effect the trip itself can have on your skin. Airplanes are notorious for being overly dry, so you may want to pack a travel-sized bottle of moisturizer just in case, especially if it's a long flight and you have a history of dry skin. If you're travelling by car, think about the places you'll be driving through-be especially wary of areas that have bad smog, as these environmental pollutants can be transferred to your skin and make your breakouts worse. Be sure to cleanse your skin thoroughly after travelling through any areas like this. If you're headed off on a vacation to a warm, sandy beach or somewhere else where you'll be spending more time than usual outdoors, be sure to amp up your skin protection regimen. Sunscreen is obviously a must-but be warned that finding a brand that works with your skin can take some searching, so start looking for a good one well before you head out. 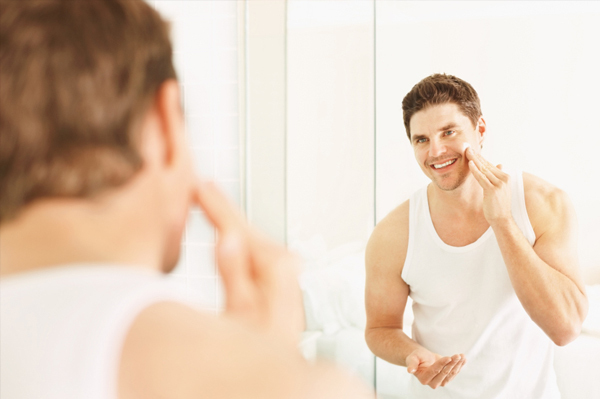 In addition, don't let sweat clog your pores more than usual. Carry a clean towel with you to keep your skin dry and sweat-free. Vacations are normally a time when people tend to stray from their healthy diets for the sake of having a good time. While it's absolutely fine to splurge a little while you're travelling, keep in mind that bombarding your body with lots of less-than-healthy foods all at once can exacerbate your acne problems. Enjoy the local cuisine, but remember that things like excess sugar can cause inflammation which can lead to worse breakouts. Thankfully, eating healthy abroad isn't as challenging as you might think-research restaurants in advance to see what nutritious options you'll have available to you. Once you return home from your destination, take a little time to pamper your skin as a way to make up for everything it's just been through. Increase your water intake, eliminate refined sugars, and eat as many whole foods as possible for one to three days afterwards as a way to give yourself a nutritional "jump start". In addition to this, try some DIY facial masks at home to really nurture your skin's health. And last but certainly not least, do not forget to pack your trusted AcnEase®!